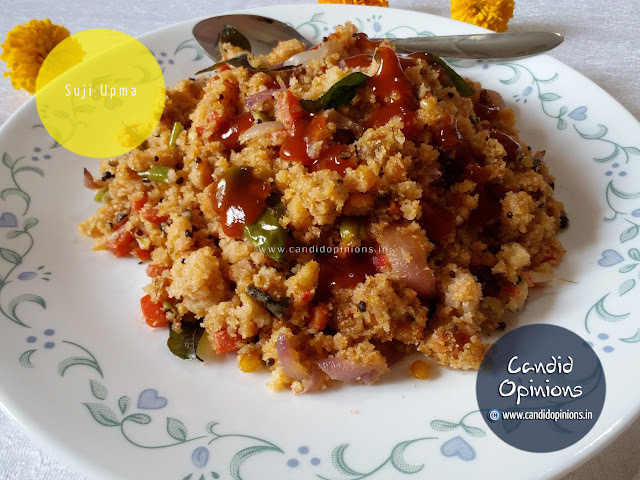 Sooji Upma or Suji Upma is an Indian Breakfast dish commonly prepared in most Indian families and it is one of my most favourite food items. 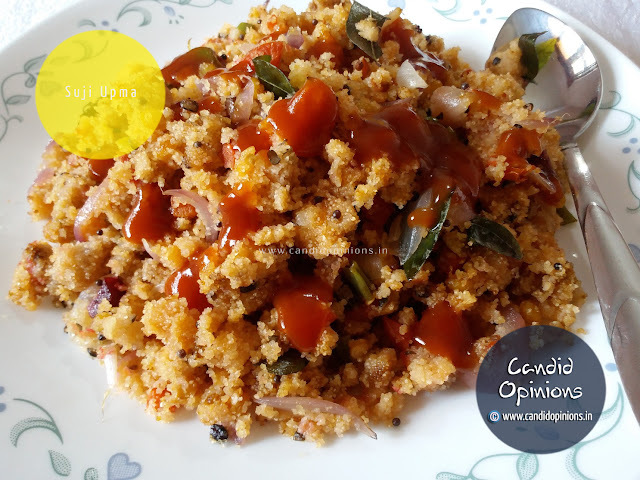 In fact I have a very strong emotional connection with Sooji Upma. Because it was the first food item that I learnt cooking when I was child! I can say that it was the dish that brought me into cooking. I used to so love it when Mummy would prepare it for our breakfast. I would stand beside her and would watch her preparing upma. Gradually I started noticing the steps that she followed and took mental notes about them. And then one fine day I asked mummy if I could myself try my hand at making Upma... she allowed me and that is how my fora into cooking started. 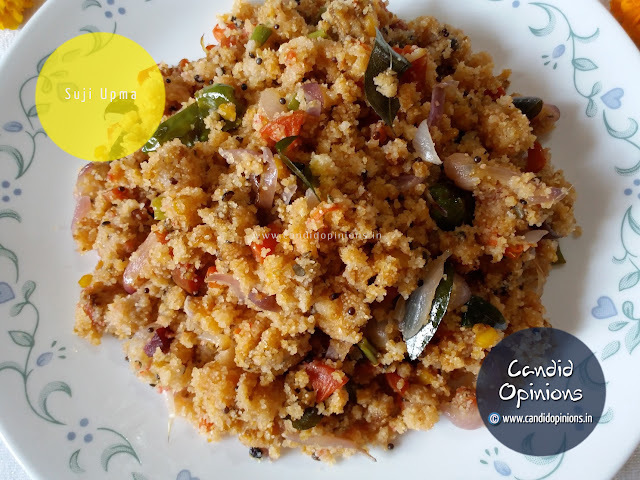 Sooji or suji (pronounced as soo-jee) or semolina grains are actually granulated wheat. Sooji has great health benefits too like not only does it boost one's energy levels but also it keeps one full for a considerable period of time and thus prevents one from overeating. 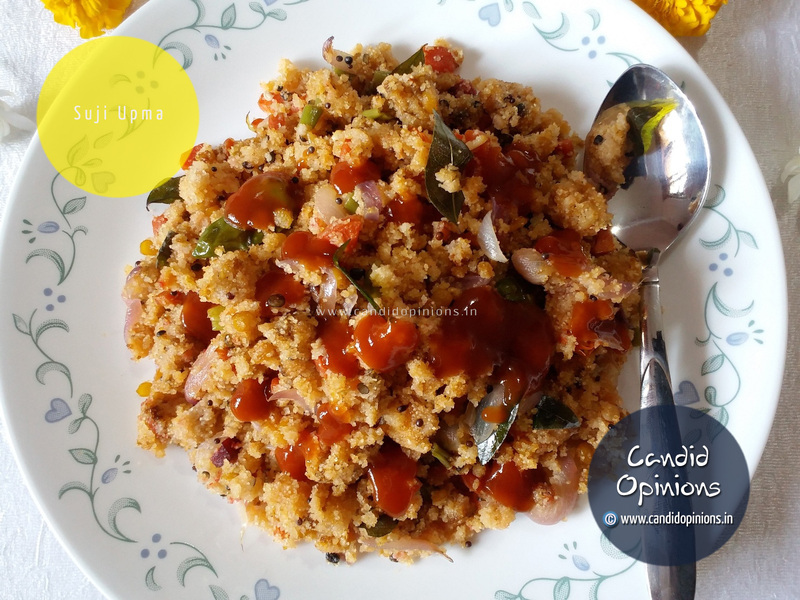 So even today whenever I get a chance to make Upma, I readily jump into the task.